To help readers decipher the exact meaning of Noh, the authors offer a detailed examination and explanation of this, the first great Japanese theatrical form, which often intimidates the uninitiated. The spirit is at the essence of Noh, as Kannami Kiyotsugu created the form in the late-fourteenth century by combining elements from Japanese theater with Zen Buddhism. Noh reflects its spiritual heritage by conveying the belief that beauty lies in suggestion, simplicity, subtlety, and restraint. Today, approximately 240 plays remain in the Noh repertoire. For the unenlightened, the authors present the history, explain the nuances, and even provide samples of these Noh plays, so they may continue to educate and entertain for many more centuries to come. Ernest Fenollosa's commentary on Noh is especially noteworthy. Indeed, “Professor Fenollosa knew more of the subject than any one who has yet written in our tongue,” coauthor Ezra Pound declared. 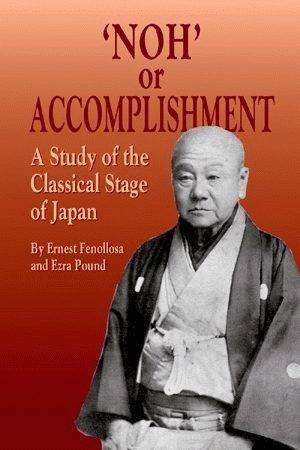 Fenollosa went to Japan as a professor of economics and became imperial commissioner of arts. Along the way, he raised Noh to its rightful place in Japanese society.